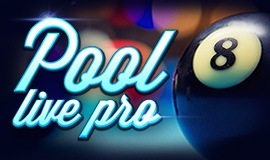 Pool is a game that has been known for a very long time. It is often mistakenly equated with its most popular variant, which is the US "eight-ball". In fact there are many different varieties of the games, which may have different rules, different numbers of colored balls, and even different table sizes. 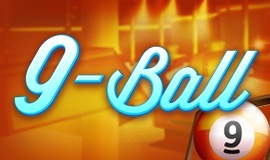 In addition to the standard "eight-ball", though no less popular, are: blackball, nine-ball and snooker. “Eight-ball" pool is the standard version of the game, where each player needs to pot seven colored balls, and then a single black ball. Potting the black ball in general ends the game. The balls are divided into so-called "solids" and "stripes". Solids are entirely one color, and stripes have a distinctive color band. Each ball has a number, but in "eight-ball" the order of potting them is optional. There are also several different rules regarding this game. Most important, however, is that a player who pockets the black ball before clearing the table of their own balls loses immediately. You should also watch out for fouls, resulting in your losing a turn. An example of a foul is hitting your opponent’s ball first. 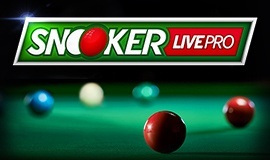 Snooker is another popular form of cue game. In this game, the play takes place on a larger table but both the balls and the pockets are noticeably smaller. It utilizes 22 balls of different colors, including white, red, yellow, green, brown, blue, pink and black. There 15 red balls are arranged at the beginning of the game in a pyramid, and the other colors are spread out on a table in accordance with the rules of the game. The cue may strike only the white ball. The balls must be hit in the correct order - alternating red with a color. Each color has its own points value. The aim of the game is to get as many points as possible. 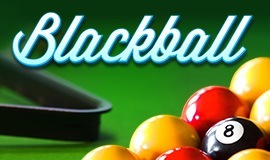 Blackball uses 15 colored balls and a cue ball. Blackball is a British variant of "eight-ball".The main difference compared to "eight-ball" is the fact that the balls for a blackball game are of two different colors, without numbers. Most often half the balls are yellow and half red. The game also ends when the black ball is potted. 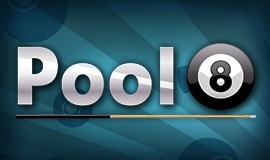 Nine-ball is a kind of pool game that uses nine numbered balls and a cue ball. The main rule of "nine-ball" is that players are required to strike the lowest numbered ball on the table with the cue ball. The order of potting is free, provided that the first ball hit has the lowest number, and it is not nine. After each ball potted without committing a foul, the player can stay at the table and take another shot. The game ends when ball number nine, which is the only one to have a stripe, is potted correctly. 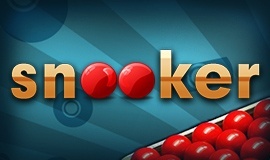 Online versions of games of pool are also available. Where are the best places to play pool online, and completely for free? There is only one answer – on the GameDesire site. 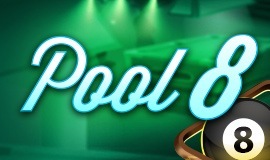 Pool games online are available in different varieties. At GameDesire you can play eight-ball, snooker, blackball and nine-ball. Each of these games is very polished, has realistic physics, precise control and provides ample opportunity for customization. You can choose not only your cues, but also the appearance of tables. A key factor in increasing the pleasure of the game, is that the platform offers gameplay against real opponents with whom you can communicate. Thanks to all this, the excitement is even greater. In particular types of games you can advance to new stages and thereby unlock levels which allow you to play for more chips and other interesting rules. Multiplayer pool, in the knockout gameplay format, will be a welcome diversion. So if you have a favorite type of game, it is enough to sign in GameDesire and from the very beginning you will be able to take on opponents at each level. If you have only played “eight-ball” so far, you will have the opportunity to discover in one place other exciting variations of pool popular around the world.